Let’s dawn patrol tomorrow morning,” I told my son Daniel, 15, as we watched sets pound Zippers and The Rock as the sun set behind us and the supermoon rose over the ocean. We were in San Jose del Cabo at the southern tip of Baja California to attend a wedding during the same weekend as the Los Cabos Open of Surf. The Association of Surfing Professionals (ASP) contest meant lineups throughout southern Baja were full of talented surfers. 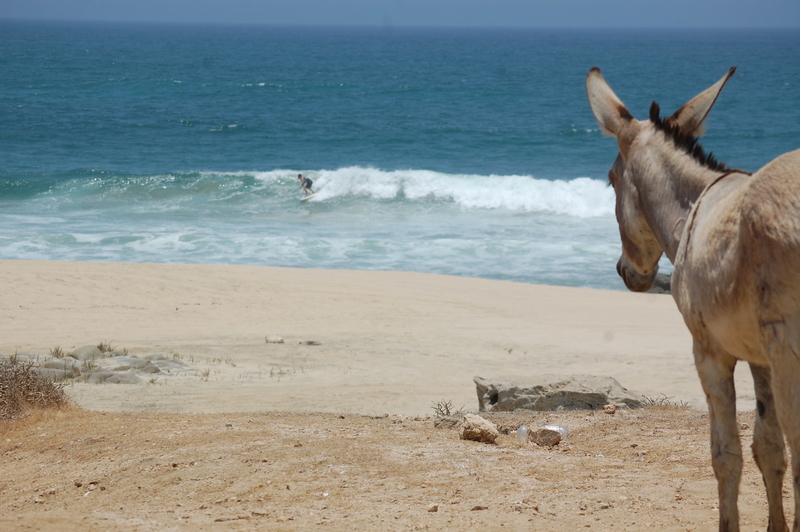 Since surfers party hard in Cabo, most aren’t awake at the crack of dawn. So dawn patrolling was our only way to escape the aggressive crowds. The next day Daniel and I slipped into the ocean at 5:30 in the morning. We could see sets hitting the reefs. With the supermoon illuminating the lineup, I spotted many rocks sticking out of the water I wish I hadn’t been able to see. Unfortunately we didn’t realize that the super high tide the night before was followed by a very low tide the following morning. As we navigated the boils and rocks in the lineup, our dawn patrol was looking more and more like a bad idea. After we reached the outside Daniel quickly caught a head-high wave. He kicked out at the last minute to avoid an inside exposed rock. “It’s pretty sketchy out here,” said Daniel, who wasn’t happy about being woken up so early. “But think of all the street cred you’ll have by being able to tell everyone about your low-tide nighttime session at the Rock in overhead waves,” I replied. Zippers, once a Trestles-like wave that is still the epicenter of the Cabo surf scene, has been vastly reduced in scope due to the loss of sand from its once large beach. Garrett Parkes somewhere in southern Baja. 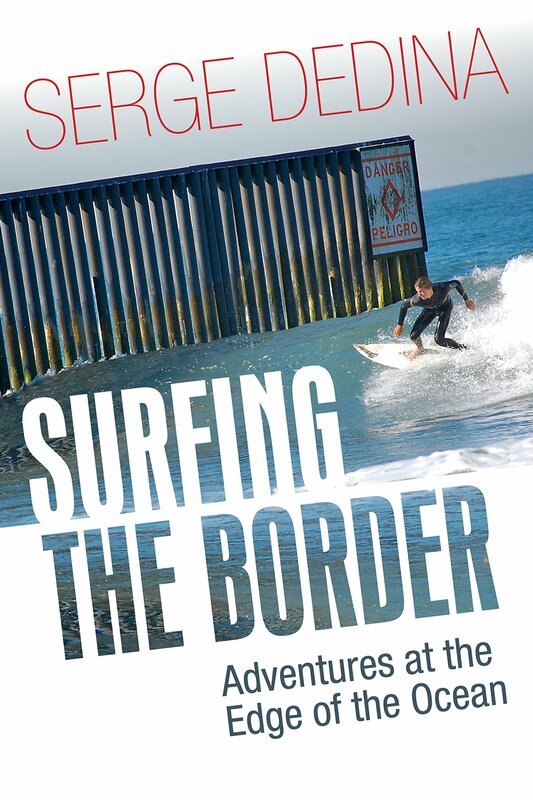 Adjacent development projects with their intrusive seawalls and what many surfers believe is the loss of sand from the San Jose Estuary due to the presence of a marina there, has turned what was the Queen of the Cabo Coast into a hit or miss wave at best. As we paddled south the sun began to emerge in the eastern sky along with dreaded southeasterly winds. After catching a few bumpy rights and saying hello to shark researcher and La Jolla surfer David “Dovi’ Kacev and his friends (also there for the wedding), we paddled in. That’s me–my sons are coaching me on how to get more vertical–at this point I’m a work in progress. Daniel returned to our condo and promptly fell asleep. Later that morning the wind died and The Rock fired. And pretty much everyone stayed away due to wind and the fact that they had apparently partied until dawn. So Daniel and I paddled out and caught tons of waves with almost no crowd. We finally scored in San Jose. Up until the wedding, we had spent a few days out on the East Cape, sampling a variety of no-name spots that are rarely surfed but offered up clean, fun waves. 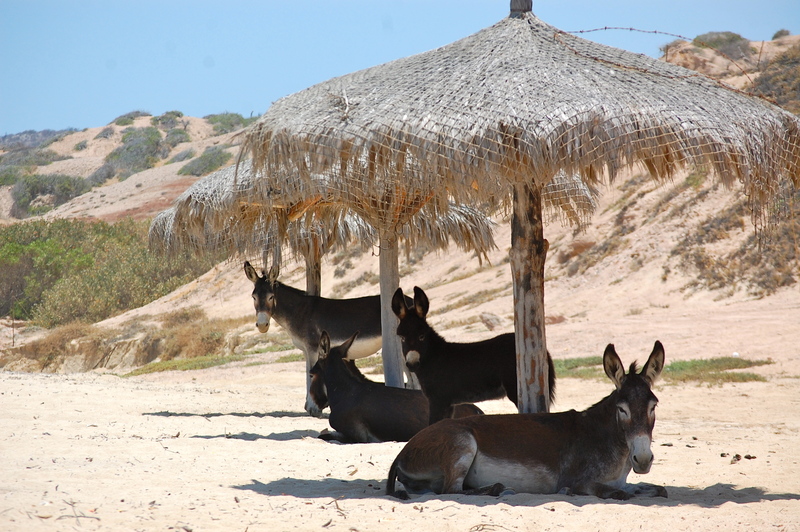 Siesta time for burros in Baja. At one spot we spent the afternoon sharing waves with Garrett Parkes and Matt Banting, two Australian pros in town for the Cabo Open. “We’ve never even surfed out here on the East Cape before,” said Garrett. 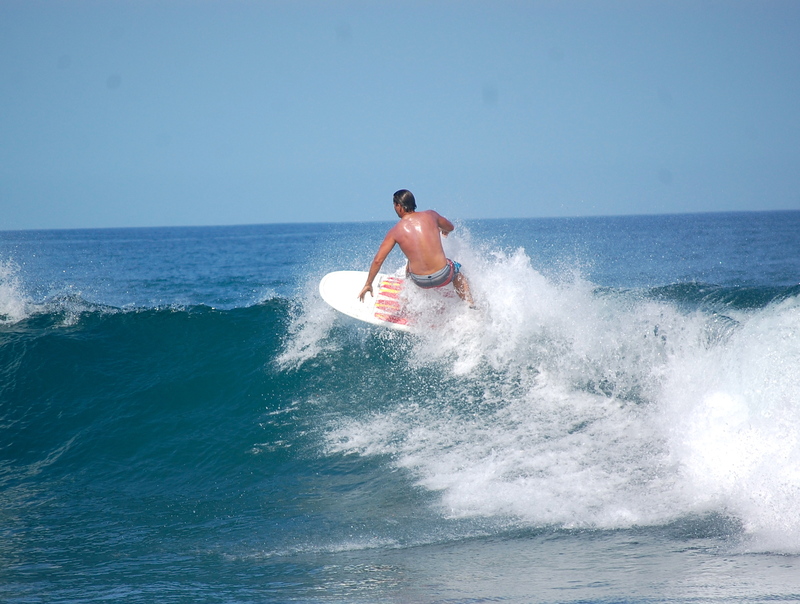 For two hours Daniel shared rippable 2-4’ rights with traveling Aussie pros who gave Daniel a clinic in modern surfing. What more could a grom ask for? “Those guys really know how to ride these waves,” he said.